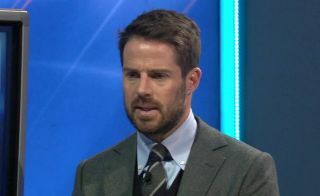 Sky Sports pundit Jamie Redknapp has heavily criticised Jose Mourinho and Man Utd after their defeat to Brighton on Sunday. Albeit only two games have gone in the Premier League season, the Red Devils left themselves open for criticism after their 3-2 loss to Brighton. Questionable defensively and suspect in attack, there are problems for Mourinho to identify and address quickly with the visit of Tottenham approaching next Monday night. However, Redknapp believes there are some deeper problems at Old Trafford, from questioning if Mourinho even knows his best starting line-up to a perceived lack of identity in terms of the way that they play. “What is his best XI? I don’t think he has a clue what his best XI is,” said Redknapp on Sky Sports. “The problem for Manchester United is you look at the other teams and they know exactly what they are trying to do and how they are trying to play, and I have never seen a team lacking so much desire to get back into a game. After finishing 19 points adrift of rivals Man City in the Premier League title race last season, coupled with the fact that they ended up trophy-less too, the pressure really is on Mourinho and his Man Utd stars to make progress and compete for major honours this season. Add the fact that Man City and Liverpool are playing attacking and entertaining football, it only adds to the issue surrounding United. If they fall short, it remains to be seen what the impact of that is. For now though, Redknapp has raised some fair question marks over them and time will tell if Mourinho is capable of making the necessary tweaks to ensure that the defeat to Brighton is a minor blip rather than exposing a big problem.